would you like your desk mat personalised? would you like your desk mat personalised? (required)No, plain mat onlyYes, Personalise. I accept this is a non-refundable order & add up to 2 working days to my chosen delivery service. would you like your desk mat personalised? (required)No, plain mat onlyYes, Personalise. I accept this is a non-refundable order & add up to 2 working days to my chosen delivery service. would you like your desk mat personalised? (required)No, plain mat onlyYes, Personalise. I accept this is a non-refundable order & add up to 2 working days to my chosen delivery service. would you like your desk mat personalised? (required)No, plain mat onlyYes, Personalise. I accept this is a non-refundable order & add up to 2 working days to my chosen delivery service. 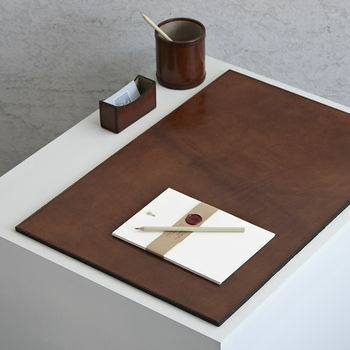 A smart leather desk set: an ideal gift solution for a writer or as a gift for a retirement perhaps, with a date embossed. 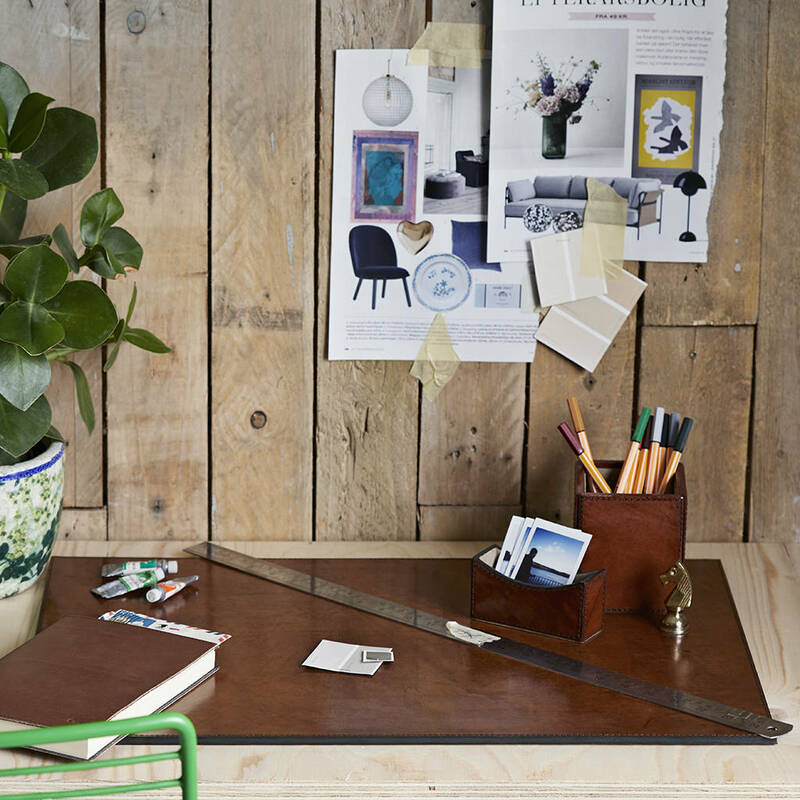 Pen pot: Place all your writing equipment in Life of Riley’s beautifully-crafted pen pot – an attractive gift or to give your desktop a finished look. Square or Round. 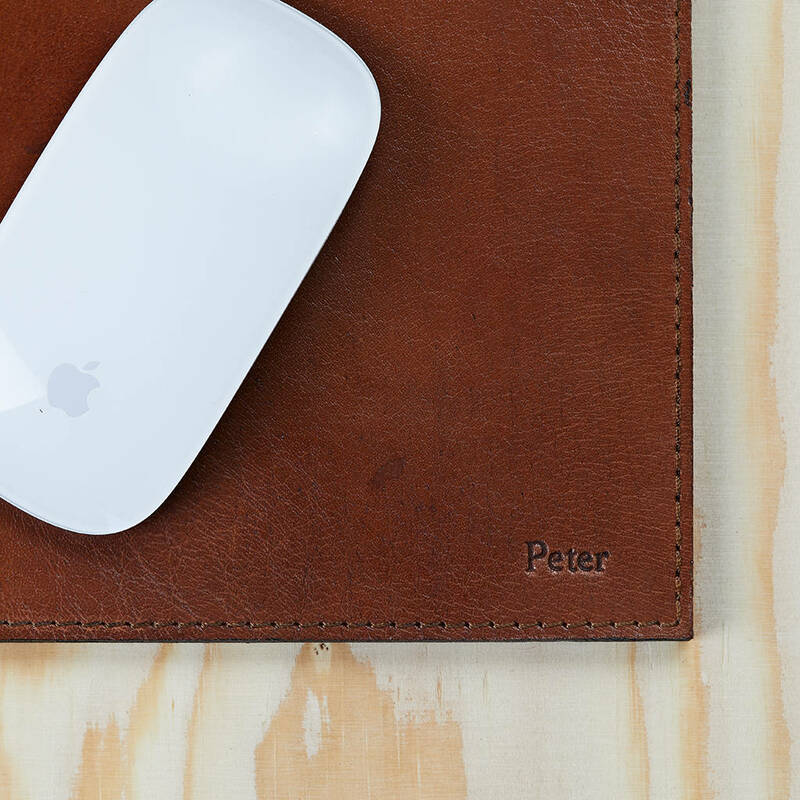 Desk mat: The leather desk protector is leather on both sides. 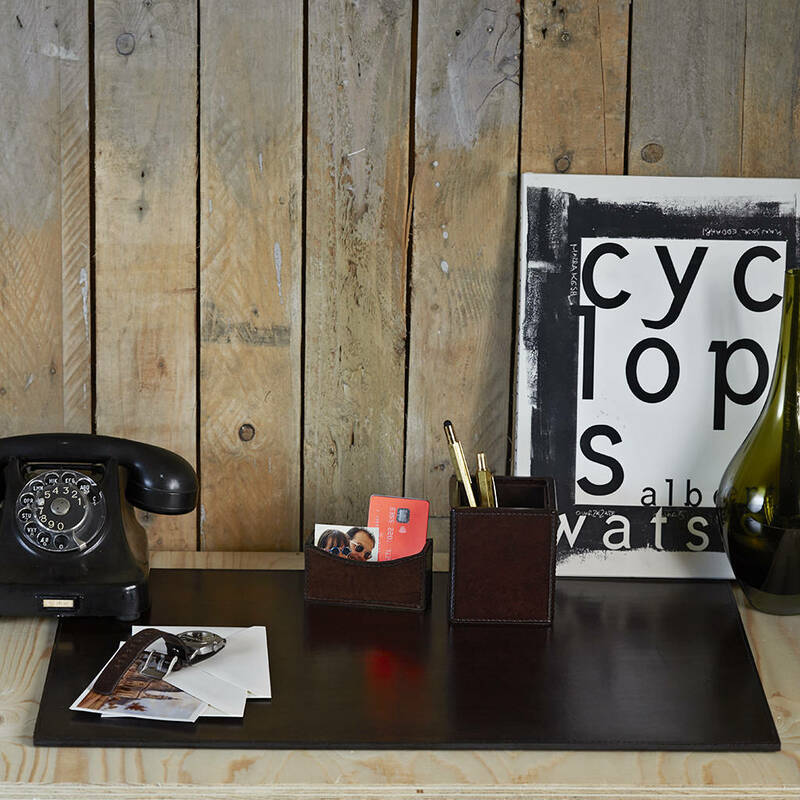 It is designed to protect a desk and create a defined working space. This can be personalised as a thoughtful touch. 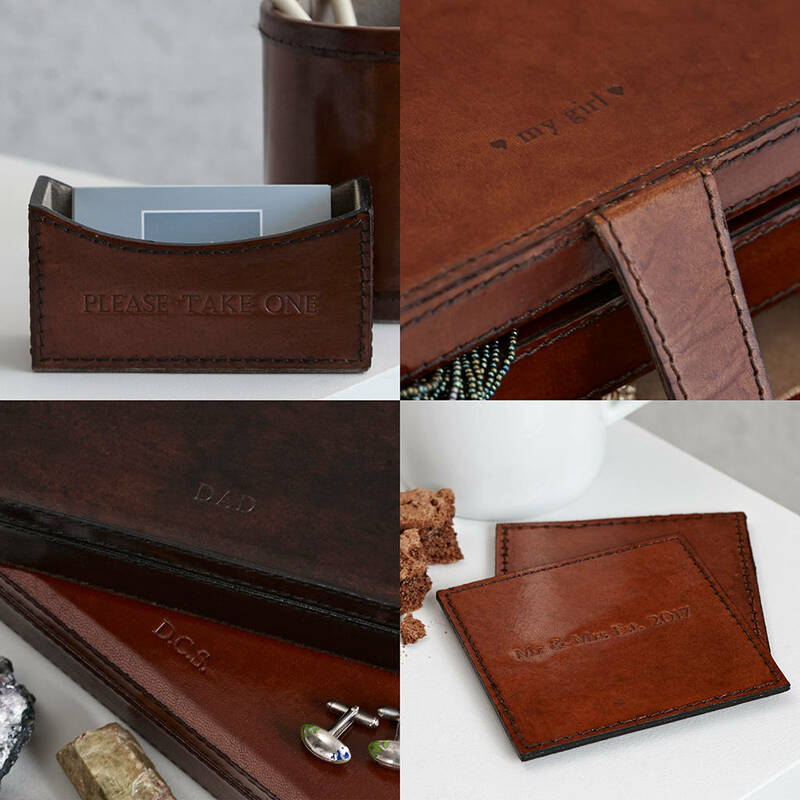 Business card holder: A leather business card holder to show your own cards or keep next to the telephone and store cards that you collect. To make your desk set extra special why not choose to have the mat embossed with a memorable date, a name, short phrase or initials? Please note the maximum characters is 20 mixed case. Please be aware this desk set is made from natural buffalo hide leather and is hand crafted, as such there will be slight variations in colour, texture and markings which we believe adds to the item's beauty and individual character. Pen pot ﻿: approx 10cm x 10cm x 9cm.